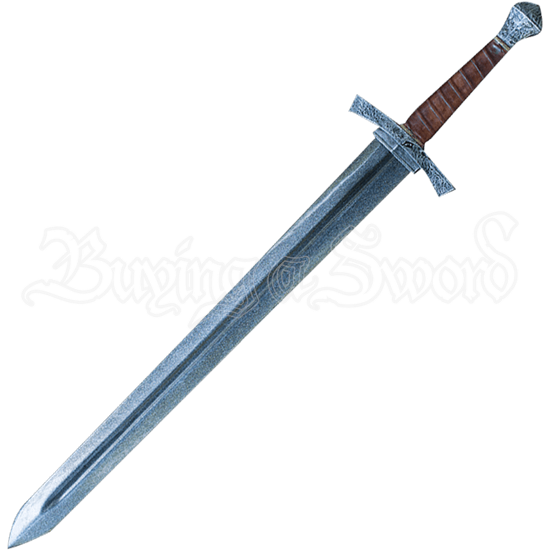 While the Medieval Footman LARP Sword may not be fancy, it is just as deadly as those elaborate toothpicks the nobles swing about, even more so when placed in your hand. 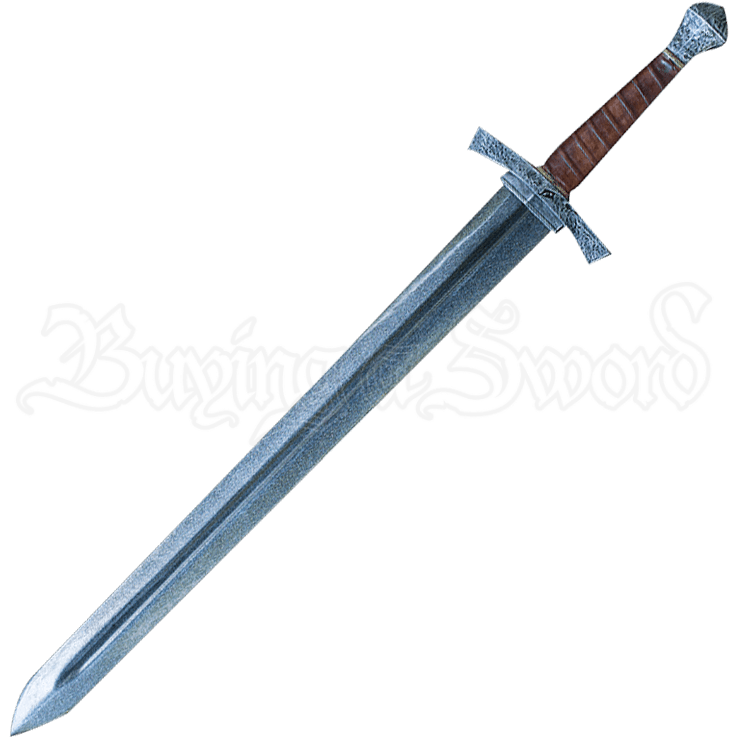 This knightly sword reveals strength and durability in battle. The double-edged blade is crafted from closed cell foam around a solid fiberglass core and finished with a strong latex coating. A fuller runs down the center of the blade, lightening its weight and enhancing its structure. The cruciform hilt is cast from polyurethane and features realistic, hand painted detail. An antiqued iron finish decorates the slightly curved cross-guard and the scent stopper pommel. Golden accents and a sculpted leather-like wrap cover the grip.